All players in the game must consent to these options before the start of the game. Any combination of options (none to all) may be chosen. B) If Option 1 is in effect and the striker roquets a ball out-of-bounds, the turn is over and the out-of-bounds ball is marked in 9”. However, no deadness is incurred. If an opponent causes the striker ball to be blocked by a wicket or stake (wired) when the striker wishes to shoot at a ball it is alive on, the striker may move his/her ball a mallet head’s length or up to 9 inches in any direction from its wired position to enable a possible open shot on that ball. The striker is not obligated to shoot at a ball from this new position and may take any shot he/she wishes. This optional rule does not apply if the striker’s side placed the striker ball in its current position, only if the opponent placed it there. If moving the ball 9 inches in any direction does not present an open shot, the striker may move the striker’s ball a greater distance (but no greater distance than needed) to create an open shot but must do so without shortening the distance between the ball they were wired from and the original position of the striker’s ball. Additionally, they must shoot at the ball they are now open on. If an opponent causes a ball to be blocked from scoring its wicket by a dead ball(s) for two consecutive turns, the blocked ball becomes alive on the blocking ball(s). The opponent must be responsible for the block, not the side claiming a block. A block must be confirmed by the blocking side in order to be counted as a block, in order to avoid disputes. In addition, the proposed wicket shot that is claimed to be blocked must be possible to make to count as a block. A poison ball is one that has scored all the wickets but hasn’t hit the finishing stake. A poison ball may hit any opponent ball and have it removed from the game. Conversely, if an opponent ball hits a poison ball, the poison ball is removed from the game. 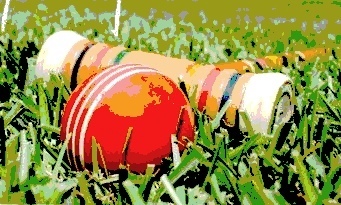 If a poison ball fully passes through any wicket in any direction, it is removed from the game. A poison ball does not earn bonus shots for hitting other balls. When a timed match has expired, each ball gets a last turn. If a ball has played its last stroke of the turn and is still rolling on the court when time expires, it will get another turn. If the losing side has played its last turns, the winning side may not play its last turn (aka last ball/last turn may not play). If the score is tied after the “last turn” round, the ball closest to its contested wicket gets an extra point for the win. A tournament director may choose to use multiple last turns rounds (ideally, no more than two rounds). A player’s ball is alive on all other balls at the start of every turn. If a player hits a ball they are dead on, the turn is over and all balls are returned to the original positions. All games are timed for 1 hour with sudden stop when the clock expires and there are no extra turns. If the score is tied in the “sudden stop” format, the ball closest to its contested wicket gets an extra point for the win. c) Finally, he might consider it the best strategy to take a tap for a stroke. A partner becomes a rover when he has completed the course, with the exception of hitting the home stake. He continues to take his turn and can now devote his efforts to helping his partner. As no wickets are left for him to make, the deadness rule limits him to one hit a turn on the other three balls. . All the other balls are allowed to play off the rover and even send him through remaining wickets ( some players leave at least one wicket to make it harder for opponents to stake him out of the game) and into the stake removing him from the game. Players should be reasonable in the amount of time taken to analyze a situation and take the next shot; one minute, 60 seconds, is considered the normal amount of time necessary. In tournament play, the referee will use his judgment and take whatever steps are necessary to keep the game moving along.